Weekly Update 2019-08: Extremely personal lyrics from rapper milo, consuming media that is long enough to absorb properly and the beautiful animated videos by Munich-based Kurzgesagt. As promised, I managed to publish my blog post about ElleHacks this week. You can read it on our company blog, our engineering blog, or our Medium publication. Lord knows why it needed to be published in three different places, but there you are. I went to Blue Mountain this past weekend with some friends, and it truly feels like an accomplishment. I have always declared myself averse to winter sports (loudly and often), and while I didn't actually ski, there was lots to do. Skating on a mountaintop, riding a frigid rollercoaster down a mountain, and soaking in a heated outdoor pool in -15 degrees made for a full weekend indeed. 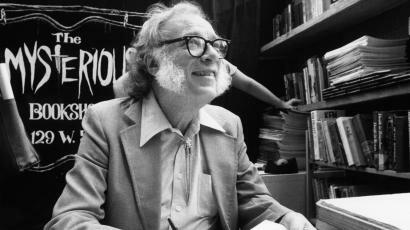 Monday marked our meeting of the Feminist Book Club, for which we read two pieces of poetry. I am not usually a poetry reader beyond the lyrics of music, which is to say I haven't read a piece of poetry as long as these two in quite some time. Especially the one entitled The Goblin Market by Christina Rossetti was rich in voice as well as content. Give it a read yourself if you like. I have a very strange work week coming up. We are spending a couple days in Niagara region for a Product Management Offsite - a great time to get to know the coworkers on my immediate team. After that, Wednesday is a full engineering team professional development day (including lunch and an afternoon escape room). So, two days of work in the office (inside which to get five days of work done, of course). My parents adopted some new tech recently when my father was awarded an Apple TV for his years of service at work. One app, Neverthink, is pretty cool. I never really caught on to wasting time on YouTube for the sheer amount of crap one must dive through to find the proverbial "good stuff", but Neverthink provides handpicked videos in a category of your choosing and does a pretty good job. 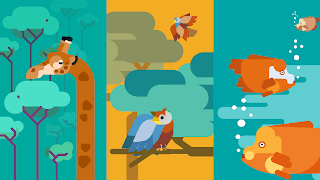 Through Neverthink I found a wonderful Munich-based animation studio called Kurzgesagt – In a Nutshell (German for in short). They produce ~7min videos (the perfect length for me) on lots of interesting science and tech related topics. I hope I get some time to illustrate a giraffe soon...it looks so fun! Check our their Youtube Channel and website. 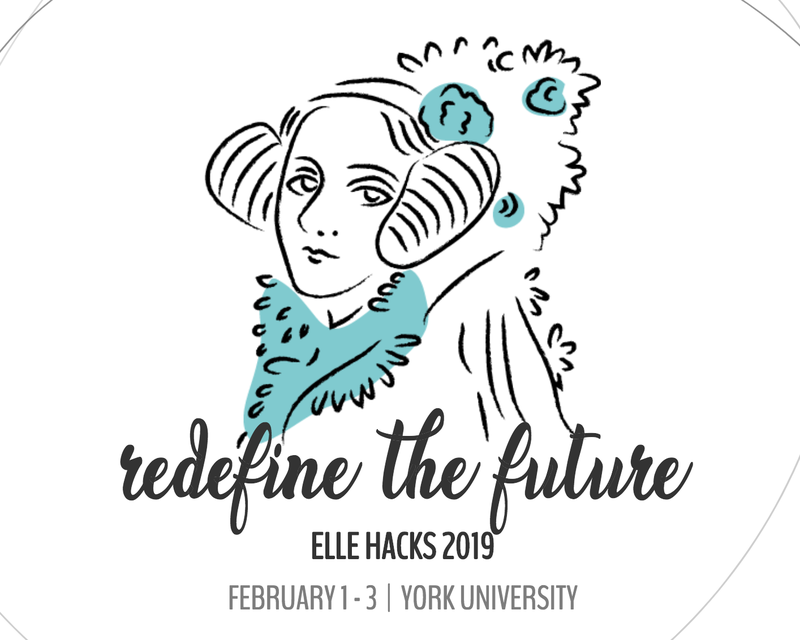 Weekly Update 2019-06: Jazzy piano keys and punk-influenced drums from The Garden, Netflix's trend of crossover content and the enriching experience of mentoring in UX Design at ElleHacks 2019. The Garden is an experimental pop/rock duo of two twin brothers from Orange County, California. They've got an intriguing mish-mash of jazzy piano keys against punk-influenced drum and bass, then some synth or sad, melancholic vocals just to keep you guessing. The weather in Toronto seems to be doing the same thing, so it fits. What a week to catch a cold. Through my lame sickness, I took a bunch of cold meds and powered through a User Interface Workshop at Brainstation last Tuesday. It was nice to try my hand at teaching the other side of design, and I even decided to post about it on Facebook which garnered a lot of social attention (good for my ego). One of the students turned out to be an OCAD Professor which was very cool. On the weekend I made a pilgrimage to York University after a few years. 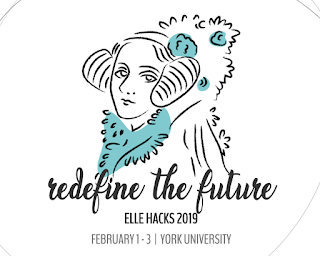 Vena sponsored a female and non-binary focused hackathon called ElleHacks, and I had the time of my life as a UX Design mentor to the high school/university-aged participants. More on that in the inspiration section below. In between days at the hackathon, I did my best to help my sister in a Puzzle Competition. Yep, F.G. Bradley's was hosting a puzzle competition at their Fairview Mall location. A dozen teams of four competed to be the first to complete a 500-piece puzzle of tropical fish. We didn't win but we had fun! If the three of us were half as good as Larissa, we might have had a better chance. 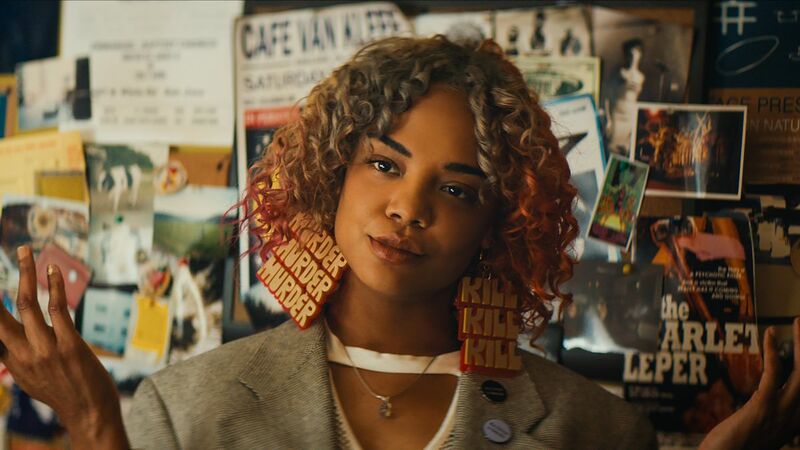 A friend had recommended the 2018 Fantasy/Science Fiction film Sorry To Bother You, and when I saw that U of T's Centre for Ethics was hosting a free screening, I knew it was finally time to see it. The film is pretty weird, but somehow charming in its alarming, fantastical nature of dealing with racism, classism, art, telemarketing, and much more. Plus, Tessa Thompson's character's earrings increase in magnificence throughout the movie. I really need a break this week, so I'm keeping it light. Chelsea is coming over for dinner tomorrow, and Larissa is hosting a Murder Mystery Party on Saturday. Nice and fun, easy activities! There is a seemingly never-ending slew of new television, even from Netflix alone (my streaming platform of choice). I tend to get emotionally invested in shows and sometimes feel a bit of loss when I get to the end of a series. Netflix's own Series of Unfortunate Events was certainly one such example for me, with its gorgeously complex world-building and larger-than-life characters. This show and many others of original Netflix content have been following a trend lately of breaking the fourth wall in favour of jokes about Netflix itself. Sometimes they reference the user experience of Netflix with its lack of commercials or bingeability, other times they will boldly promote another Netflix show right inside the script of the storyline. Jerry Seinfeld's Comedians in Cars Getting Coffee is a big example of this, that I have noted being promoted through a handful of Netflix's more established shows. 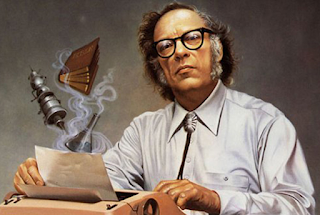 I find it rather amusing, though while I do love the original Seinfeld I don't feel that Jerry's new show has kept up with the social changes of 2019. Regardless, I am all for this tactic. I appreciate the meta-humour of promoting a television show within another, unrelated show, the possibility for two different show settings to be held within the same fictional universe, the opportunity for crossover a la Bob's Burgers/Archer or even Netflix's own Riverdale/Sabrina, and the resulting lessened feeling of loss after finishing a show. Who better to suggest something new to watch than a character from the show I just finished? It's a very interesting marketing ploy. I'm just not going to give Comedians in Cars Getting Coffee, sorry Jerry. This past weekend marked the third annual ElleHacks competition, and I was lucky enough to attend! ElleHacks is the largest hackathon created for women and non-binary individuals of all experience levels, it is an event lead entirely by students with a background in STEM fields, proposed to challenge participants from different technical and creative disciplines to collaborate, learn, compete and show off their skills to solve real life problems in an inclusive and safe space. Vena Solutions was cool enough to sponsor the Hackathon this year, sending a handful of my coworkers and me to York University's beautiful Bergeron Building (the very same location where I participated and won a hackathon in 2015) to mentor young thought leaders through a fast-paced 52 hours of ideating, designing and developing apps, websites and hardware to help solve some of the world's wicked problems such as homelessness and elderly care. I met some amazing young people who will surely change our tomorrows and take part in solving some of our bigger world problems. Many of the students were in high school, which I thought was wonderful. I am so happy to see STEM being brought sooner and sooner to school curricula, as well as these opportunities outside the school walls. Not to mention the fact that all three of the hackathons I have attended were extremely male-driven (just like the tech community) so of course it is great to see a hackathon that provides a space for women and non-binary people. Kudos especially to Vena for seizing this opportunity to take part in such a worthy cause. The other sponsor companies were all large banks with tech-focused labs like BMO, RBC and TD, along with the usual Rogers, IBM and surprisingly some simply lovely women from the Canadian Armed Forces. Vena was, to my knowledge, the smallest company to make a representation (and probably least recognizable name) but we made ourselves well-known by providing as much mentorship as we could. Personally I was quite unsure of how I might contribute as a UX Design mentor, knowing first-hand that design can often be overlooked in the race of the "competition" aspect - function is generally prized over form in these cases. But, having won a hackathon using nothing but a slide deck and InVision prototype, I knew there was definitely something I could offer. So I volunteered for Friday night (to network with the participants and mentor in a design-thinking capacity for idea generation) as well as Sunday (to help prepare pitches, making finishing touches and hotfixes, and provide support in the final stretch). I was particularly inspired by a lovely group of three girls in high school who ideated and built a website to help new university students find clubs and teams that would provide them a sense of community through a period of transition. The idea was awesome and the fact that none of them had written a line of code before was particularly mind-blowing to me! We took a selfie together after the showed me their final pitch. Overall, it was an amazing experience. I especially treasured the way I was able to perform a mini retrospective with each team as I walked around the "science fair" at the end to view all the final projects. I chatted with each team about their backgrounds, expectations from the hackathon and what they had learned and liked best about the weekend. This part really touched me; to see how many new friendships had been made, mentorships built, skills earned, it was almost too much.